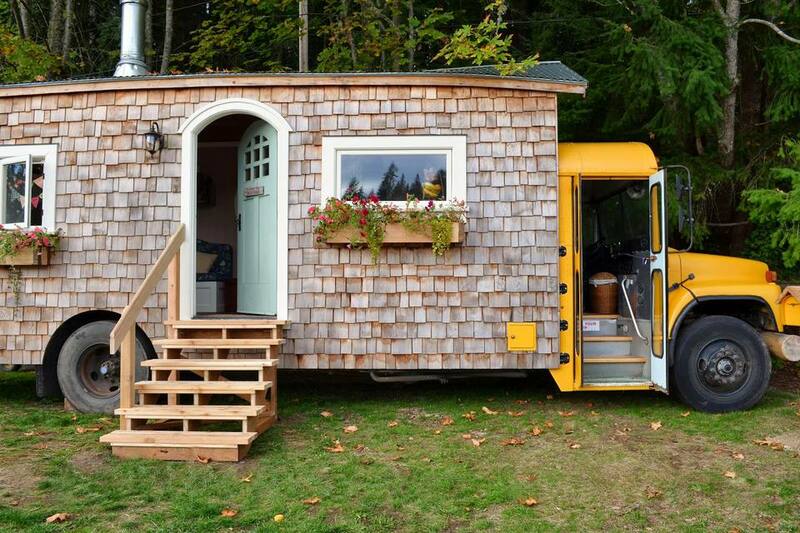 If you're looking to build a tiny primary home or an RV on the cheap, you may want to consider hacking an old yellow school bus. People across the country are converting student transports like the ones you remember riding to school, into custom motorhomes aptly called skoolies. Retired school buses are relatively inexpensive to buy, and if you have basic building skills, they're fairly easy to trick out with all the comforts of home. They're also solidly built. With proper maintenance, used school buses in good condition can remain roadworthy for a very long time. In fact, their diesel engines can last beyond one million miles. 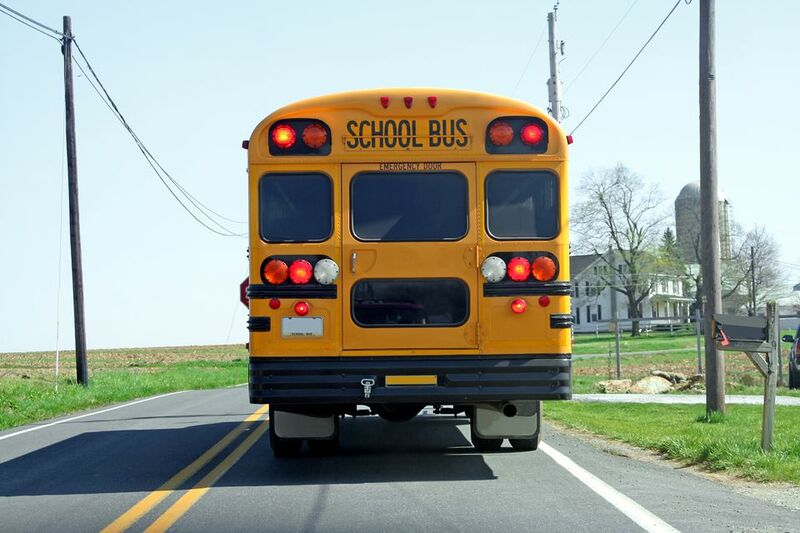 And most standard school buses have sturdy steel frames and floors, unlike shuttle and commercial buses, which have bodies made of composite materials. How Much Does a School Bus Cost? Market prices for retired school buses vary by location and the age and condition of individual buses, but for a ballpark figure, a standard 72-seater that's 34-feet long starts at around $3,000. It has enough room to create 200 square feet of livable space. William Bailey purchased a 72-seater at a local auction. His 1999 Thomas Saf-T-Liner school bus cost $2,605. Before submitting a bid, he exercised due diligence that uncovered the vehicle's history. Not only did the bus have the best maintenance records compared to the others being auctioned, but it also had only 140,000 miles. It took Bailey two years to finish his skoolie conversion. Now he lives in his bus full-time. Bus dealerships: One of the largest in the U.S. is Midwest Transit Equipment. You can search what's in stock on their website. Online auctions: Public Surplus and eBay usually have plenty of listings. Local Classifieds: Craigslist is a good place to start. Before bidding on or buying a bus, review the vehicle's maintenance records and inspect the bus inside and out. Look for significant rust on the undercarriage/chassis, on the body, and on the floor inside the bus. A few localized rust spots are no big deal, but widespread rust is a sure deal-breaker. Before you start looking, think about the size and type of bus you'd like best. There are short, mid-size, and full-size buses. Larger buses offer more space but can be trickier to drive. Also familiarize yourself with engine and transmission types, which can have a big impact on bus longevity and maintenance issues. The cost to DIY a skoolie, with all the home comforts such as a working kitchen and bathroom, can cost $10,000 to $30,000. However, repurposing building materials and lots of sweat equity can significantly reduce the covnersion amount. Much of the construction involves standard building materials, like insulation board, plywood, flooring, and trim. Plumbing and electrical systems can be outfitted with RV and marine products for optimal compactness and portability. Julie and Andrew Puckett bought a partially converted skoolie. It reduced the amount of back-breaking demo work they had to do (for example, removing dozens of bus seats) so they could start with the fun stuff: remodeling and decorating. Partial conversions are usually sold as campers that lack bathrooms and or kitchens. A partially converted 34-foot school bus might cost around $10,000. Goodnewsbus.com: details one family's bus conversion in daily posts that include video tutorials and thoughtful lessons learned.